Last week Audrey Loef (Architecture), Rosan Foppen (industrial Design), Ingmar Klappe (Architecture) and Senna Meij (Industrial Design) of the Technical University Delft have been working on a project for the Minor Augmenting Prototypes. They have tested a new 3D scanning device the 'structure sensor' for its use in reconstructing historical objects. 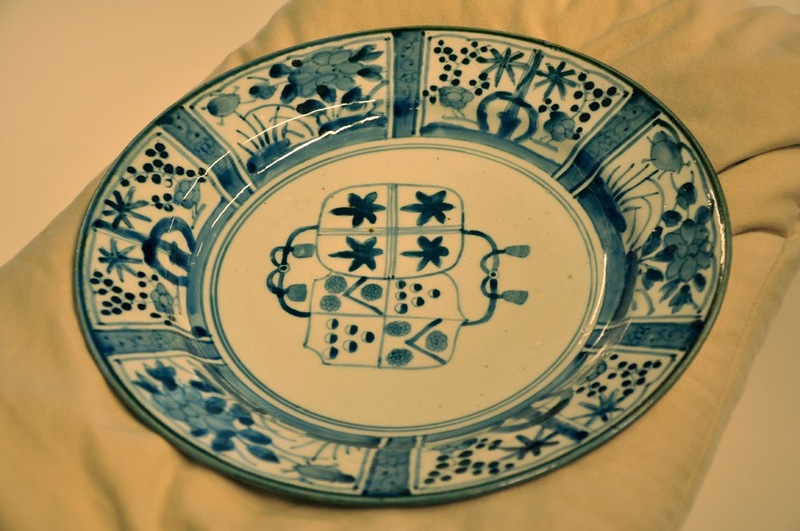 This week the object was a porcelain plate, made in the 17th century in Japan, ordered by the then Mayor of Amsterdam. The plate is part of a set of tableware that was (likely) ordered for the marriage of the mayor with Aletta Pancras that took place at august 30, 1667. This plate is part of the collection of the Amsterdam Museum, and we are greatful that we had the oppertunity to scan the object in their depot. Other (known) part of the set of tableware are two cup-an-saucers at Museum Boijmans Van Beuningen, a plate at the Victoria&Albert in Londen and a plate at the Idemitsu Museum in Japan. Hre you can see the plate and the 3D computer reconstruction after the scan.